Butterfly Baby Place: We Have a WINNER!! 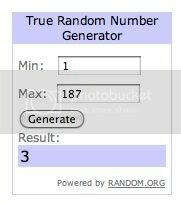 I'm so excited to finally announce the winner of this giveaway! Thank you sooooo much to all who entered and for those that didn't win - BEST OF LUCK next time!!!!!!!!!!!!! The winner is the very first person to enter: Picture This Photography by Dawn!!!!!!!!!!!! Congratulations!!! Have a fantastic week everybody!